The launch of Dr. Panda’s latest game sees kids set sail on a cruise as they explore all-new and exciting locations! 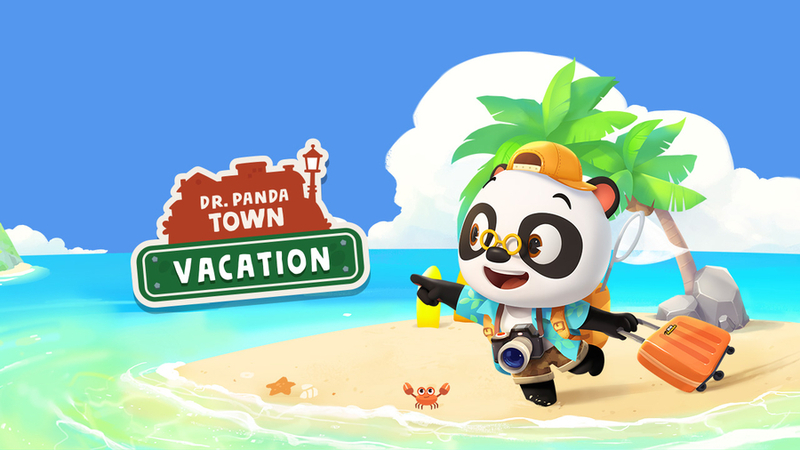 SHANGHAI, CHINA, May 25, 2018 /24-7PressRelease/ — World leading kids’ app developer Dr. Panda surprises fans this week with the launch of their newest app, Dr. Panda Town: Vacation. The third sequel in the successful Dr. Panda Town series, the game inspires kids to become little adventurers, stimulating their imaginations as they embark on the getaway of their dreams. With 7 diverse and exciting locations to explore, Dr. Panda Town: Vacation encourages kids to role-play and story tell in the company of fellow characters and adorable pets. In response to popular demand across app stores and social media for the expansion of the Town series, Dr. Panda Town: Vacation shows fans just how big their new world has become. Adding to their past adventures, now kids can set sail on a cruise with a rooftop pool and spa, before choosing from 3 huge islands to explore. Whether they choose to hit the beach, camp out in the woods or race across snow-covered mountains, there’s undeniably something for everyone to enjoy. In addition, they can bring their character’s outfits, pets, items and more between all 3 apps in the series for even more fun. Dr. Panda Town: Vacation is free to download as of today on the App Store and Google Play Store with a selection of small one time in-app purchases ranging from $2.99 to $4.99. It can be purchased as a paid app on the Amazon Appstore for $4.99.